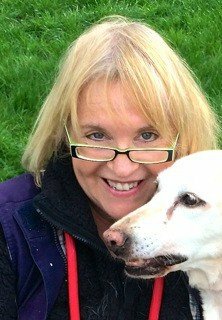 Our lead consultant and joint founder of Dogs on Camera, Sandra Strong, is a qualified VeterinaryNurse, Dog Trainer and Animal Behaviourist. She also has a background in Theatre Costume Design, Stage Makeup and Wigs. She attended Wimbledon School of Art to take a degree in Theatre Design and was an active member of The National Youth Theatre for many years. She also joined the Dolphin Company to work with noted actors such as Vennessa Redgrave, Nyree Dawn Porter and Windsor Davis. Dogs on Camera allowed these diverse careers to come together under one umbrella and was founded in 2002 with photographer Geoff Langan. At first we were given lots of Stills Work, notably Marie Clare Magazine and French Cosmopolitan. TV followed with the Bafta winning docu-drama: “Brighton Bomb” Staring Jackson the Jack Russell! Then came the first feature film, Rupert Everett’s remake of St Trinians. 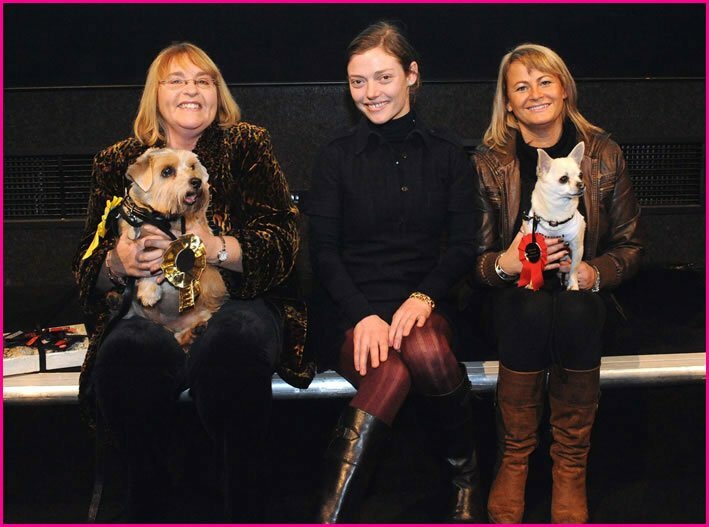 Dolly the Norfolk Terrier who played the dog Mr Darcy won The Fido’s Award (Doggy Oscars). After that business progressed at a steady rate until Dogs on Camera received a call from a director wishing to produce a piece of work sponsored by Marmite for the Queens Jubilee. We had only 3 days to organise this! Sandra was told if she could do this she would never be out of work again. We were then told it was exclusively for the large screens on the Mall! Well we did it!!! With the help of Harry and Ruby the Corgis. The Queen found it very amusing! Dogs on Camera has never looked back since. You can watch the Advert and others in our showreel. So now you know the whole story! Sandra also owns a company called Perfect Dog, London’s premier dog training school. Sandra dogs have appeared in many well-known TV adverts and TV shows. 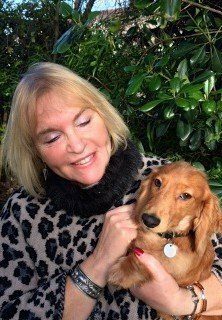 Sandra has developed her own unique style of dog training classes that allows owners to quickly and easily access the support they need. 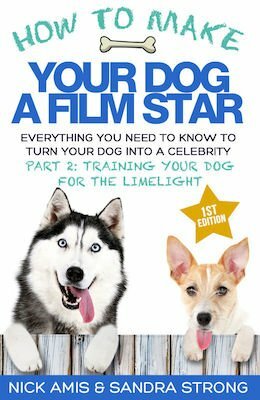 She has her own Film School for dogs, which prepares owns and their pets to work in front of the camera. In recent years Sandra has been successful in using the research undertaken by Turid Regaas into Canine Calming Signals. You can watch her demonstrating this procedure on YouTube on the Chrissy B Show, Animal Communication “Do they really have feelings?”. “There is always great excitement when the DOGS ON CAMERA bag is taken out of the cupboard! Bearing in mind call times can be quite early. Trying to deal with many excitable dogs at 5 am can be quite a challenge! As long as the dogs have been well socialised and are not fearful (film sets and locations can be very noisy) and are generally obedient, have a willingness to learn then they absolutely love this life. “Why wouldn’t they ! They get to meet lots of people, receive a lot of fuss, treats, and are played with. Most of our training is achieved through play or using the breed’s natural ability to perform certain tasks. “The end result is always a thrill. Seeing your pet on the big screen no matter how many times they perform always brings a tear to the eye. If the dog pops up in an advert I always get a call from an excited owner. 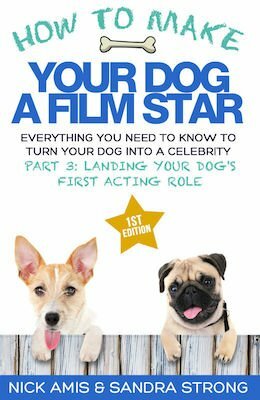 Have you ever wondered where all of the dogs come from for TV commercials and films? Are they professional, working dogs or just someone’s pet who spends most of their time lounging round the house? 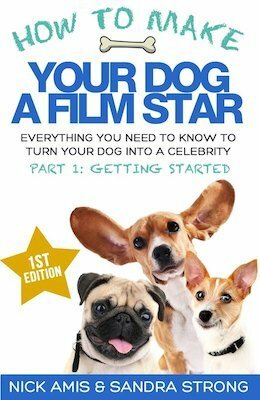 Is there such a thing as a ‘celebrity dog’? 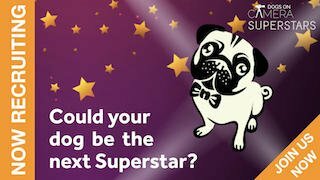 And can you make a living as an owner of a doggy superstar? 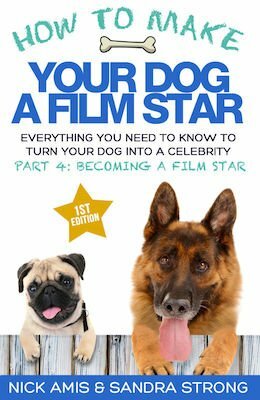 My 4-book series explains how to get your beloved pet onto the big screen, along with everything you will need to know to prepare. You’ll never forget the first time you see you beloved pet on the TV or cinema screen. It’s a truly magical experience for family and friends, one that neither you or they will stop talking about for years to come! Why not give Sandra a call today to discuss your specific film, TV or stage production requirements. We have a large range of dogs on our books with animals of all sizes, shapes and colours. We can help you make the right selection and help ensure you get a capable dog as well as one that looks the part.